José is currently a Managing Associate of the Tax Group at SRS Advogados. Recognized as a Tax Specialist Lawyer by the Portuguese Bar Association. From 2011 to 2013 Partner and Head of Tax at CCA. From 2009 to 2011 was Head of Tax at Raposo Bernardo & Associados and from 2007 to 2009 was Senior Associate at PLMJ. 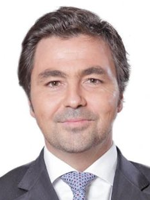 From 2005 to 2007 was Senior Associate/Garrigues Portugal and from 1995 to 2005 was Tax Director at Mazars Portugal. The Tax Department at SRS Advogados advises clients on national and international tax law. Services cover both the provision of everyday guidance on corporate tax issues and tax advice on specific transactions. The firm’s activity covers all principal Portuguese taxes, such as personal income tax (IRS), corporate income tax (IRC), value-added tax (IVA), excise duties, taxes on assets (property tax, inheritance tax, etc) and stamp duty, as well as international tax law. SRS Advogados is a leading firm in the Portuguese legal market. From the outset we have maintained a tradition of innovation. In 1992, we were pioneers in foreseeing the challenges of globalisation and were the first Portuguese law firm to join an international alliance. Today, we continue to lead the market in creating value for our clients through our strategy of focus and specialisation. We always seek to exceed expectations.